Advance reservations suggested - MUST be over 21! Experience a magnificent evening with a whisky tasting to launch the Ormond Beach Celtic Music Festival. 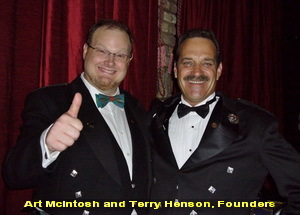 This year's hosts are Art McIntosh and Terry Henson, founders of the Central Florida Malt Whisky Cabinet. This private whisky tasting club is fast becoming Central Florida's premier whisky tasting experience. The "Cabinet" founders, Central Floridians Mr. McIntosh and Mr. Henson were honored to present the whisky tasting at the Central Florida Scottish Highland Games this January. The two men share their love of single malt whisky by presenting a unique collection of rare and special whiskys combined with music, education, poetry, and camaraderie. 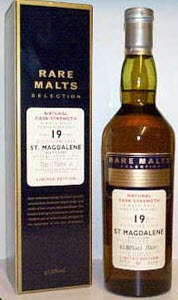 Expect to taste some Scottish single malt whiskys you likely have never sampled before. Come experience this very special night of single malt whiskys and whisky lovers; surely a night to be remembered. Where: Whisky Tasting - Oceanside Country Club - click HERE for map! Reserve your tickets NOW! - limited availability and past tastings have been sellouts!